Ampco Flashlight Rental always aims to provide a complete package, whether it is in light and sound equipment or in rigging. 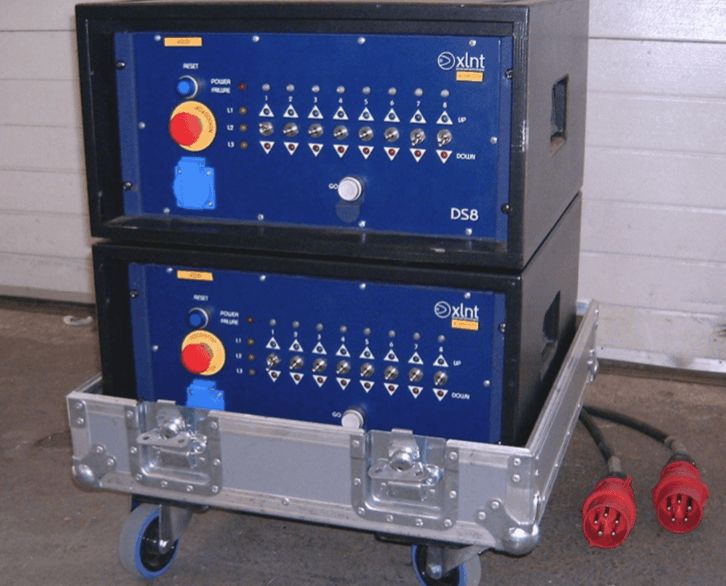 Besides trusses and chain hoists our rental stock also includes controllers, with a choice of 1, 4 or 8 way pickle controllers, depending on the amount of engines the controller has to manage. In addition to controllers our rental stock also includes remotes and accessories. On request our team of experienced technicians can be involved in the installation process as well. Together we can set up a plan and from there on take over the full process of light, sound and rigging. Feel free to contact us for more information.